Due to the bidirectional data exchange from LV to external software, the LV programs can be used in their user interface. (e.g. ADD-In technology) For pressure vessel design, simultaneous design and calculation can be carried out with the appropriate CAD program, material extracts can be created and CNC programs generated. With the Scenario Manager it is possible to easily calculate different variants of an apparatus. Different variants can mean, for example, that entire series of a heat exchanger with different shell diameters, tube diameters, tube pitches, tube passages etc. are calculated or that different load cases (variation of mass flows, temperatures, power etc.) are simulated for a given heat exchanger. The great advantage of the scenario manager is that all input data for the different scenarios is completely predefined in an EXCEL table and automatically transferred to the program. This saves an enormous amount of time, as almost any number of calculations can be carried out at once. LV software comes standard with a bidirectional interface that can be used to transfer data from LV to Excel and from EXCEL to LV. 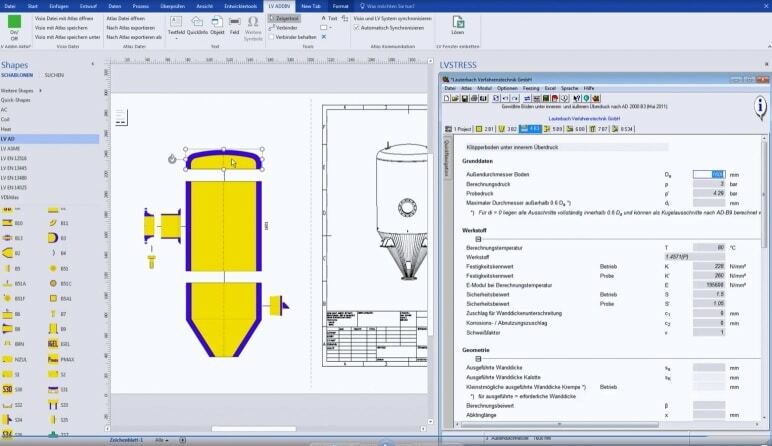 Pressure vessel parts are calculated directly in the SolidWorks design environment. 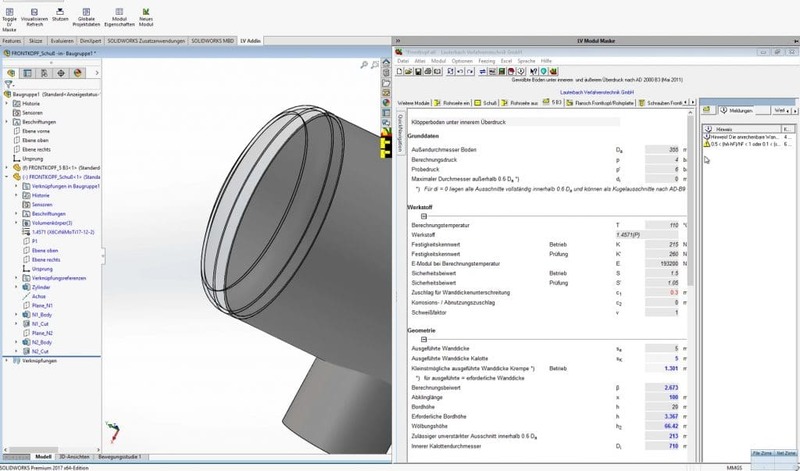 Bi-directional interface to a cost-effective 3D CAD program from Alibre. 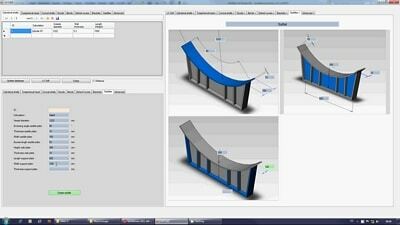 LV software programs can be integrated into the Design II simulation program.